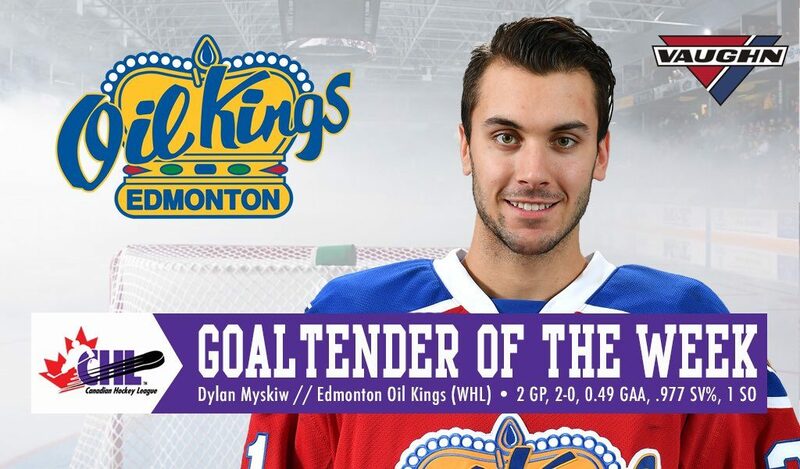 The Canadian Hockey League today announced that Dylan Myskiw of the Edmonton Oil Kings is the Vaughn CHL Goaltender of the Week for the fourth week of playoff action ending April 14 with a 2-0 record, including one shutout, a goals-against average of 0.49, and save percentage of .977. 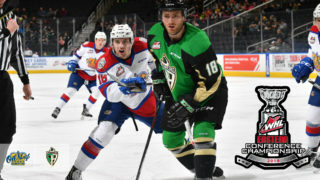 Myskiw claims the honour for the first time this year after stopping 42 shots over two WHL playoff appearances, including Games 3 and 4 versus the rival Calgary Hitmen en route to a series sweep. 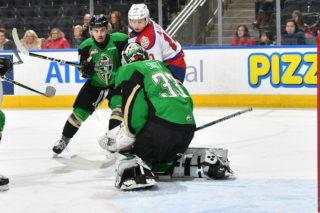 The product of Winnipeg, Manitoba began the week with a 2-1 overtime victory in which he turned aside 24 shots and was named the game’s First Star. He then sealed the series in Game 4 as he turned aside 18 shots to record his first career playoff shutout. 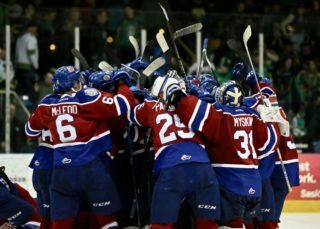 The 6-foot-1, 175-pound netminder is in his third season in the WHL, and first with the Oil Kings. Through 45 games this year, he came away with a 28-11-2-3 showing alongside a .914 save percentage and 2.53 goals-against average. Through seven postseason contests, he owns a 5-2 record with a 1.93 goals-against average and .920 save percentage. 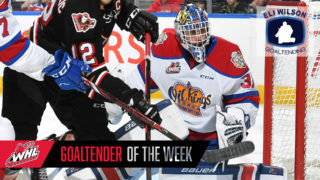 A day earlier on Monday, the Western Hockey League named Myskiw the WHL Eli Wilson Goaltending Goaltender of the Week. 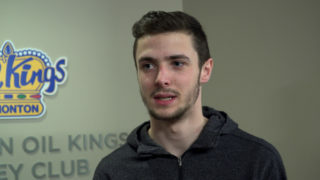 It was the second straight week the 20-year-old netminder earned the award, and third time overall this season. 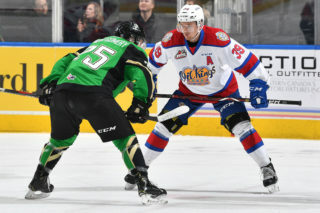 Myskiw and the Oil Kings will be back in action for Games 1 and 2 of the WHL’s Eastern Conference Championship against the Prince Albert Raiders on Friday, April 19 (7:00 PM MT) and Saturday, April 20 (7:00 PM MT) at the Art Hauser Centre. The series will shift to Rogers Place for Games 3 and 4 on Tuesday, April 23 and Wednesday, April 24, respectively, each for a 7:00 PM MT start. Tickets to Game 3 and Game 4 are on sale now.